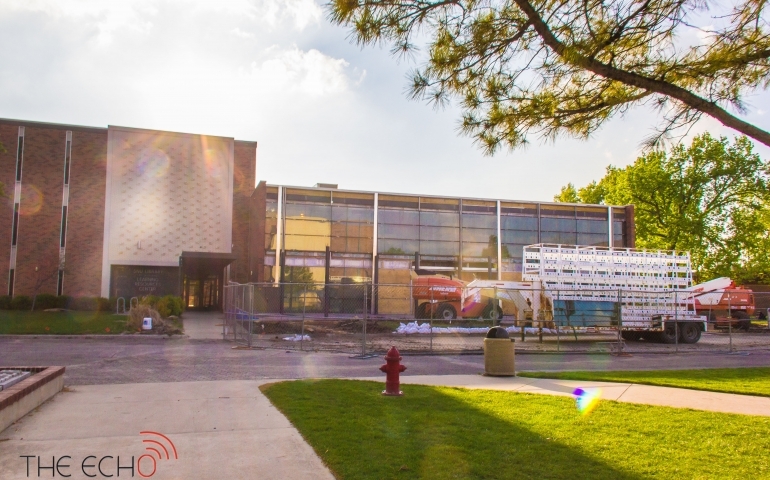 Construction on the SNU Library has been projected to have its grand opening this upcoming Fall Semester. The SNU Library has been under renovation since fall break of last semester, beginning with preliminary electrical installation. However, initial project estimated renovation began much earlier (June/July of last summer), and the university moved a great deal around to meet those early deadlines. The library staff has been thinking about (and living in) impending renovation since early June, even though the project did not get underway until mid-October. “We hope the physical library will be a welcoming place for all kinds of students: traditional undergraduates, commuters, adult students, graduate students, alumni, and local area pastors and laypeople,” said Katie King, the director of the SNU Library. Besides the current library renovation, there are no major projects scheduled for the next few years in the R.T. Williams Learning Resource Center. Minor projects in the works for the following couple of years include repurposing space on the third floor for silent study as well as rearranging the library to best serve the students given the new configuration. The SNU Library hopes to serve the students by allowing them to utilize the new resources that are available. Both the coffee shop and the Center for Student Success (CSS) will be located on the first floor, north side. As of now the SNU Library will be unofficially opened either the last week in April or the first week in May. The SNU staff hopes to be able to open the space for a post-commencement coffee so that graduating seniors will be able to experience the new space, if only for a short while. Until then, the library staff is excited to see how everyone will use the space. With that being said, everyone, including students, will be glad when renovation is over so they can come in and get their work done with their favorite cup of coffee from the new coffee shop. Prev PostAre Minorities Underrepresented at SGA Events?